Bettie's Service Station Pinup Metal Sign - California Car Cover Co.
Bring a bit of nostalgia to your home or office with this vintage style metal sign. 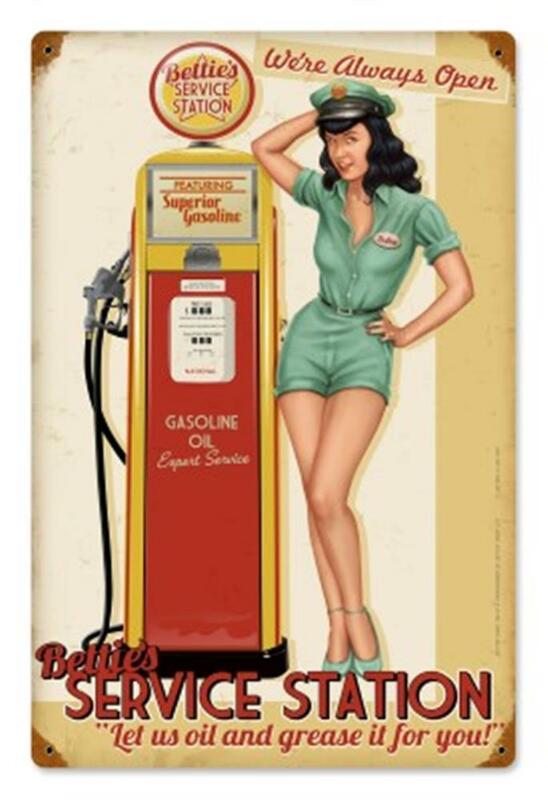 The 12" x 18" The Bettie's Service Station metal sign is made from 24 gauge steel. All are pre-drilled for easy hanging.